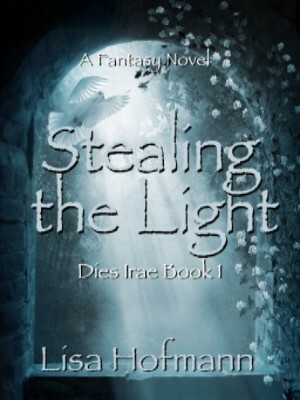 Steal a Moment with Fantasy Author Lisa Hofmann and "Stealing the Light"
Pull up a chair and pour a cup of coffee, fantasy lovers! You're invited to a conversation with medieval fantasy author, Lisa Hofmann as she sits down with us here at InkSpired for an in-depth interview. So, please, sit back, sip on your Sanka and enjoy! I have a degree in history, and I’ve always loved reading historical fiction – but from an early age, I’ve also been fascinated with magic. When I began planning this book series, I thought: What kind of book would you love to read?” And then I wrote it. I didn’t choose to write in that particular genre. I think it chose me. I’ve always found books to be a little like islands in the chaos, and my love for storytelling comes from the love of being told stories. I had some really great teachers at school who told and read wonderful stories out loud. They encouraged me to read every kind of book. Later, those same teachers encouraged me to share my stories. I was always the kid who was asked to read out her essays to the class. I still have contact with the teacher who was most supportive – and still is – to my writing. But, if you’d told me back then that I would publish a book one day, I might have laughed, because that goal seemed completely unachievable to the likes of me with my hand-me-down sweaters and worn-out resale shoes. Only these great, really awesome people you read about or saw on TV published books, and I never thought I’d ever get to add my voice to that canon. I’m not great, or really awesome, and I might never become rich or famous, but I do think I tell good stories, and in this day and age, anything is possible if only you’re prepared work hard enough to make it happen. What kind(s) of writing do you do? The art of storytelling has always been one of mankind’s best attributes. As long as people keep reading and writing good books, they will always have places to go to – places they might never physically manage to visit, but places they will never forget. Where people tell and listen to stories, all else is silent, and where there’s that kind of fascinated silence, there’s peace. I think the world needs more of that. Much more. I wanted this book to be the beginning of a journey, a great, entertaining story to pull the reader into another world. I’ve been told that it does – so I suppose I’ve achieved what I set out to do. I’m very happy to know it worked. I own a lot of books on medieval history. I prefer looking at actual books over clicking my way through the internet, though I did a bit of that, too, along the way. I also visited some of the places I used to stand model for my settings. I looked at the town concept and the individual architecture, and I went on guided tours. I didn’t really need any other references because the story as such was clear in my head from the first, and I didn’t want to lose myself in descriptions and backstories. I love researching (that’s just how I am – I was always the history geek at school), but for every hour I spend, there are probably only one or two sentences in the book to show for it. There were some difficult scenes to write that were important for the character-development and the storyline. Doing that took me on a bit of an emotional rollercoaster ride. My main character suffered abuse and neglect, and I was often right there with her, although I avoided anything too graphic. I have to say, I was good with the way these scenes turned out in the end. I enjoyed the freedom of doing it my way. Honestly, I really enjoyed the entire process, from outlining and researching it, making the characters come to life for me, to telling their story through their actions. Writing Stealing the Light was one big adventure, and opening my laptop to get back to working on it was always like opening a Christmas present every day. Are there vocabulary words or concepts in your book that may be new to readers? Define some of those. Well, we have the Cine (pronounced Keen-jah), a people who have magical Abilities. They can slow down an ordinary human’s perception of time, and they can sometimes create illusions that will come to life, or understand the workings of things by just looking at them. Then, we have the Dwarven, who are just people of a smaller stature, but who are said to have magical Abilities. In my book, they are goldsmiths, moneylenders and glassmakers. I have found that some readers are not familiar with the word “Inquisition”. This was a period in the middle ages where people suspected of heresy or witchery were tried by an Inquisitor who’d determine their guilt or innocence by very questionable means. Are there misconceptions that people have about your book? If so, explain. People automatically assume I write children’s fantasy fiction because I’m a teacher, and because there’s no half-naked man on the cover... *laughs* No, seriously, I’d rethink my cover if I had to do it again, because some people have asked me whether Stealing the Light dealt with religious themes, and it doesn’t. Well… not entirely. The book is set in the time of the Inquisition/Witch Trials, and that is a central theme of the book, because the “Unnaturals” (Cine, Fairypeople, Shape Shifters, Dwaren and so on) are being hunted, tried, and put to death for having and using their Abilities – or just for having them. Real life writes the best, the worst, and the most captivating stories, so I suppose you could say all of what I see inspires me and gives me ideas. How did you get to be where you are in your life today? Perseverance. I always stayed upright and kept walking, no matter what life threw at me, and I approached my goals one step at a time. A life is made up of many small moments you can either make the best of or ruin just by how you look at them. I can say I’m where I want to be, on the whole… although… of course, I would love to earn my living from writing books over the next years. I love my current day job, but I like writing more, so I’m walking toward that goal, again, and I think I’m still stubborn enough to keep going until I reach it. I read a lot – I own a lot of books by many different authors who’ve all left lasting impressions. When I was younger, I would have named Stephen King. Later, Dean Koontz. Then, there was a time when I would have answered Michael Crichton, and years when I might have said Noah Gordon because I absolutely loved two of the books he published then. There are so many good things to read, and I think that if you’re someone who lives and breathes stories, you always find the right books at the right time, and if you’re a writer, they each weave a thread into the fabric of your own creativity. Most useful: learning to utilize honest critique. Most destructive: badly delivered critique, and own stubbornness. I’m a part-time writer. I have a day job and three children, and that’s not always easy to juggle. It means I have to beg, borrow and steal the minutes and hours I spend working on my novels, whether that’s on the actual writing, or on what comes with publishing a book – editing, marketing and all of the necessary communication. I think I’ve learned to work very efficiently with what I have, though. I’ve had every kind of job you can imagine, from cleaning hotel rooms to serving food, delivering parcels, painting houses, tutoring high school students, selling furniture, selling clothes, selling ads, researching and interpreting research study results, interviewing bands for local papers, translating books on education, interpreting (German/English) at international business meetings, washing dishes, filing blueprints, filing files, counselling at the local job center, sorting mail, chauffeuring, tutoring at my local university, driving a truck, and finally, teaching. I think all of that in sum has surely impacted my writing in a lot of ways. The most valuable thing I learned from this, though, was self-sufficiency and confidence in my own capacity to make the most of what I have in whatever situation I find myself in. That, and I think I have met a world of interesting people who spring to mind here and there while developing the characters I have in my stories. Maybe on my Facebook site, www.facebook.com/authorlisahofmann/ because that’s where I regularly post little bits of research or trivia that might be interesting. The world of Dies Irae is very, very loosely based on medieval Europe, and you might find some explanations there to some of the things I didn’t explore in depth within the story. Writing a book like this is always about finding a balance, and though I wanted to give some descriptions, I didn’t want to get lost in background material. I love print books, but e-books are great too, when you’re on the go. I have an app on my cell phone so I can read whenever I’m waiting anywhere. I recently saw a documentary on TV about e-books being all the rage in Third-World countries where they never had libraries or access to book stores EVER - but people are reading books there now on their cell phones. I think that’s marvelous. What do you think is the future of reading/writing? Literacy in on the increase throughout the world, which is a wonderful achievement of our time, and as long as there is a love for stories, ever more people will obtain books in whatever form they can get them. I also think that self-publishing is going to be the norm in the future. Even known authors who’ve been with their publishing houses for decades are now going into self-publishing for various reasons. What I’m not thrilled about – as no author who invests time and money in their work is – is that there is so much piracy going on, and that people are downloading authors’ works for pennies or for free without the author’s permission. It’s hard enough breaking even, never mind making a small profit on writing, but it’s impossible if readers aren’t willing to spend even the price of a cup of coffee at Starbucks on a good book. This is going so far, that readers are actually complaining in their reviews on retail sites about the pricing of books – without realizing the hundreds of hours of work that go into writing a book, the cost of having it edited, the prices Amazon will calculate for print books that we have no influence on, and the other things authors have to invest in to get their work out there. What process did you go through to get your book published? A long one, you might say, though not as long as it would have been, had I opted for traditional publishing. But, I consciously didn’t go down that road, because I believe that self-publishing with a good editor on hand is currently the best way to go. I’d say it took me about six months to write and revise Stealing the Light, and another six to have it professionally edited and get it underway. That’s a year for 416 pages from start to finish, and I began marketing it about three months prior to its release. It’s a good, quality book among many other good, quality books, I’d say. I think when an author really loves what he or she is doing, each original story they come up with has something about it that will appeal to a certain set of readers, pull them in, and take them away from their day-to-day, and I’ve been told Stealing the Light does this. Readers tell me my characters are very vivid and gripping, and that my storytelling is like a word-painting to look at, so I think my book might not stand out in the crowd just yet because it’s just plain hard to be seen in any crowd, but I’m convinced it certainly has its place there among the good reads of 2016. I make the time. I use every spare minute, wherever I may be. I write on my breaks at work. I write in the car waiting for my children. I write while I should be sleeping. Bit of both. I’m an intuitive writer, on one hand, because I don’t just sit down at my desk and think “I’m going to write a story now – what’s it going to be today?” Ideas hit me out of the blue, and they strike like lightening. I jot them down on my notepad, words, sentences, scrawls I may or may not be able to read that evening, and then I can’t wait to get going. Next thing I do is I outline my ideas as thoroughly as I can – I’m a planner in that respect. I don’t just begin writing to see where it’ll take me, but I really plan out a structure, and I draft my chapters in some detail before I get to the actual writing. While writing, more often than not, intuition will kick in again, and I continue to develop the story along its outline, but I take certain liberties and allow for the river of thoughts to find its own bed along the direction of its flow. I make my own book trailers and I try to get out there through social media. The internet is my only means to promote my work, really, because I’m not “on-site”. By that, I mean I’m a German writer writing in English, which is rather unusual, yes, but English is my strong/creative language, so it does make sense. Unfortunately, however, this means I can’t do book readings at libraries or any of the other things I’d certainly be doing if I was living in the US, the UK or Ireland, for example. What I’ve done to try to compensate for that (a little), is to get into contact with libraries donate my book. I’m also doing giveaways on my FB site and on Goodreads, and I’m trying to be present on event sites and on promotion sites, and I’m getting to know some awesome book bloggers. Marketing definitely detracts from my writing time. I have days now where I don’t add a single word to any of my manuscripts. On the other hand, I’m an indie writer, and that means I don’t just literally have all of the rights, but all of duties as well. And I’ve had some great communication with interesting and wonderful people through social media and blogsites recently because of my efforts at promoting my book there, so it’s been worthwhile just for that. It’s a great journey in every respect. At the moment? “Reckless: The Golden Yarn”, by Cornelia Funke. She used to write children’s books, but she’s grown out of them, it seems, because Reckless is definitely a dark tale for adults. I love it. Oh, there are several. I’m working through the final edits for the second book of my series with my wonderful editor so I can get “Into the Dark” out there in late November or early December. I’m also working on the third book of that series parallel to editing the second one. I’m doing a translation of a short story I’ve got coming out in October in English, and I’ve started communicating with a German editor about that, so that’s going to be available in two languages, again. I’ve got another novel half-finished and on the back burner as well – you can see, I’m never bored! Well, obviously, I’m going to finish writing the Dies Irae series. There’s basically one book to be finished, and one more book to be written. Then, I’m going to finish another novel set in a universe similar to the one I’ve created for Dies Irae. It’s something of a dark fairytale. I also have ideas for several short stories which I’m going to be developing over the next year. After that, I’ve planned to do a translation of the Dies Irae series into German to get it on German retail sites and perhaps into the brick-and-mortar stores here. The age of magic is over, and the hunt for the Unnaturals is on. Two young people with the Curse grow up amid the chaos of a changing world. Catherine learns to survive on theft and manipulation. When she steals from the wrong man, she has to learn several lessons the hard way, but she will employ every last one of them to plan her revenge. On the other side of the forest, the secret community of the Cine take in a refugee boy from the Sudlands. Lorcan’s magical Abilities surpass all others, but the lad’s father brings tragedy upon the safe haven. Murder and betrayal shape the lives of both Catherine and Lorcan as they become adults, but while one of the two sets about stealing the light, the other plunges headlong into the darkness. Lisa Hofmann was born in Siegen, Germany, in 1975. She attended schools in Germany and in Ireland. 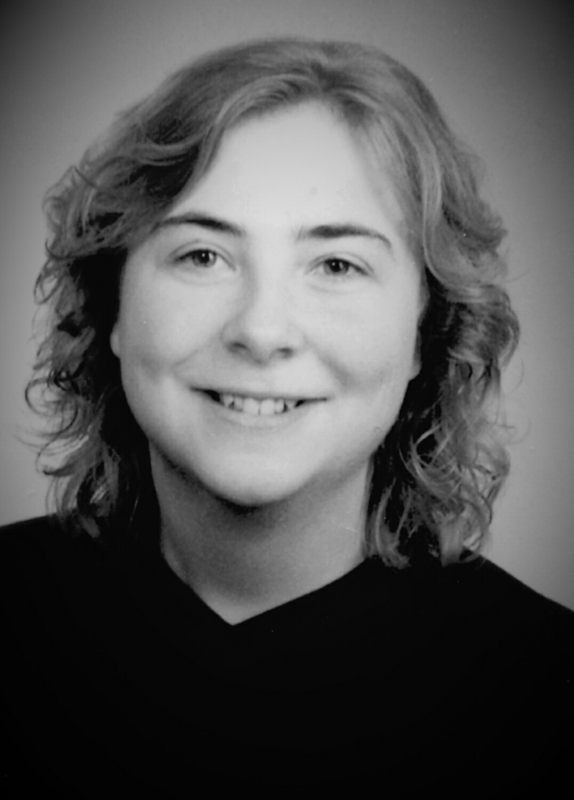 After graduating, she worked for a large international wholesale company and as an interpreter for two years before she attended the University of Siegen. During her time at university, she translated books and other writings for her professors of Educational Didactics and Anglistics, discovering her talent for handling words. She began writing medieval fantasy fiction in her late thirties while working as a teacher. She still lives near her birthplace today with her husband, three children and a houseful of pets. She writes predominantly in English.